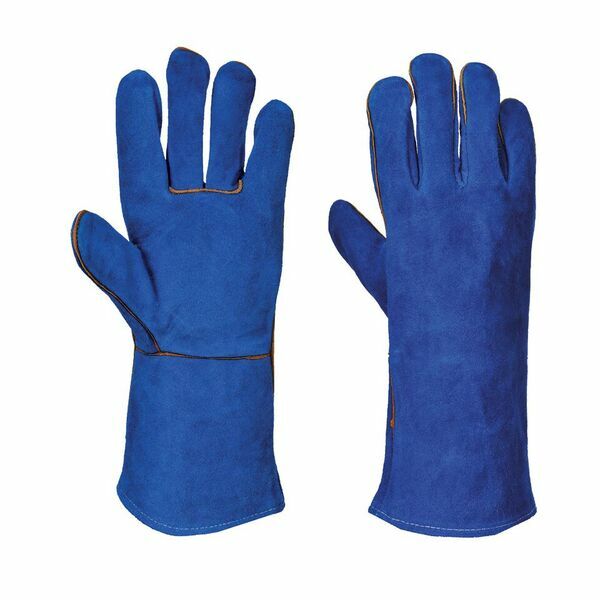 With a tough 14 gauge split leather liner, the Portwest Cow Split Leather Gauntlets A510 use a cotton interior to ensure that the user is kept comfortable while at work. This is supported by exceptional heat and mechanical resistance, helping to provide the user with some of the best protection that money can buy making them ideal for welding applications. The Portwest Welders Leather Gauntlets have been tested in accordance with EN standard EN 12477 and achieve performance level type A. This means that they provide exceptional heat resistance while flexibility may be compromised. They offer exceptional contact heat and convective heat resistance, while also being resistant to fire and small splashes of molten metal making them ideal for tactile welding applications. Their flexibility means that the user can weld safely and comfortably, without worry of dropping or misplacing materials. The Portwest Gauntlets A510 are available in one size that should suit most users thanks to the flexible and anatomical design. However it is recommended that to ensure a perfect fit, you measure the circumference and length of your palm and match the results to the table below.